TIME FOR A SPOOKY BREAK!!!! Hope you guys have a great Halloween!!! 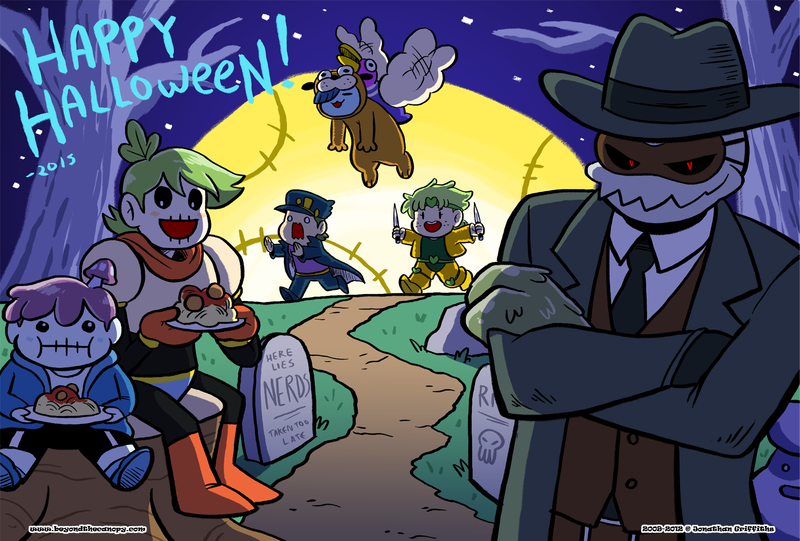 As for our lil webcomic friends, here’s what they decided to dress as this year! TERRIFYING!! We’ll be back to non-spooky biz on Tuesday! See ya then! This is great, but now I want to see Glenn dressed as Frisk. the Halloween screen is giving me PTSD, please don’t disappear again for two years. Now I just want to see Elmsly dressed as Undyne.